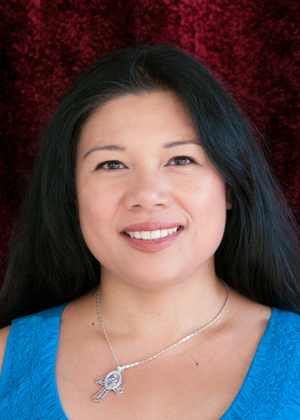 Dr. Emily Noelle Sanchez Ignacio is the IAS Associate Director of Students and Associate Professor of Sociology. She is primarily affiliated with the Ethnic, Gender and Labor Studies Major, which is housed within the Division of Social and Historical Studies in the Interdisciplinary Arts and Sciences Program. She also is affiliated with the Southeast Asia Center and the Harry Bridges Labor Center at the University of Washington Seattle. Dr. Ignacio has served as the Chair of the Race and Ethnic Minorities section of the American Sociological Association and an Executive Board member of the Asian American Studies Association. She is currently an Editorial Advisory Board member for the Journal of the Sociology of Race and Ethnicity. Her book, Building Diaspora: Filipino Cultural Formation on the Internet (2005, Rutgers University Press) examines how Filipinos around the world negotiate identities and form community in relation to Eurocentrism, Orientalism, globalization, and nationalism. Her other articles, particularly "Pro(fits) of a Future Not our Own," critically assess the continued significance and manifestation of racial, social class and other oppressions in what is often referred to as the "post-racial age of Obama". Currently, she is researching the simultaneous (re)construction of Filipinos, Americans, the Philippines and the United States of America via a close analysis of transnational media, cultural tourism and the Filipino-Bolanon diaspora’s responses to the effects of neoliberal economic policies on the small island of Bohol in the Philippines.